Whiplash is a neck injury caused when the neck forcefully and rapidly moves back-and-forth, like the cracking of a whip. The speed whiplash occurs at is so fast that we cannot prepare for it. In other words, by the time it takes us to contract a muscle voluntarily to prevent ourselves from injury, the forceful, rapid back-and-forth movement is already over. Considering the details of the injury event, it’s normal to lose focus on what actually is important. Do we have a way to minimize the chances for a long-term chronic, disabling, neck pain/headache result? Last month, we realized that prolonged use of a cervical collar should not be encouraged. But, what other ways can we adopt to ensure that long-term disability is prevented? A very interesting study conducted a research on what really happens in the first 14 days of treatment (during the acute stage of whiplash neck sprain injuries) after a car accident. The researchers of the study were after determining the long-term consequences that resulted from two different treatment approaches. In one group, 201 patients (47-percent of the total group) were advised to act as usual as well as continue in their normal daily activities before experiencing the injury. In the second group, patients were given time off and immobilized in a soft cervical collar in the first 14 days after the car crash. At the end of the 14 days, both groups experienced a notable reduction of symptoms between the first visit and the fifteenth day. But, upon evaluation at the 6-month point, the group that didn’t take time off from work, continued with their usual pre-injury activities, and weren’t immobilized in a soft cervical collar, had a profoundly better result than the other group. According to this study, time off from work and over-treatment with a soft cervical collar makes patients adopt a sick role where they are focused on their problem so much. This study embraces the chiropractic philosophy to exercising, staying active, never using a collar, and using manipulation that exercises joints and keeps patients from stiffening up, thereby, reducing fear and pain of doing activity! Ideally, another study notes that both physical and psychological factors predict long-term disability. These comprised of initial high levels of reported pain and poor activity tolerance, moderate post-traumatic stress, cold sensitivity, older age, and altered circulation. The bottom line is that chiropractors can perfectly treat and manage patients with whiplash injury given the type of care they perform and provide. 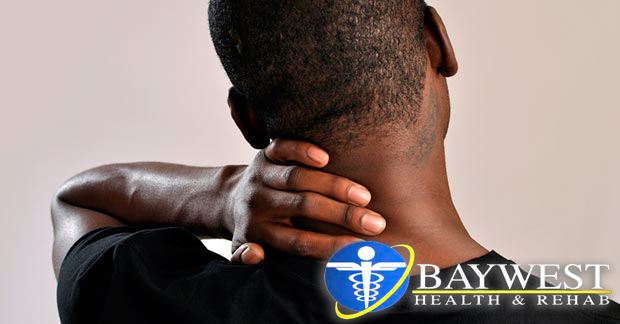 Chiropractic doctors encourage the whiplash-injured patients to exercise their joints and muscles, continue with their pre-injury activities, and reduce dependence on collars, medication, and other negative treatment approaches.